and your loved ones this season. purchases, scholarships and other critical needs. triples the size of the existing OB Unit. a safe and compassionate environment. No more than 2 visitors at a time. Visitors must be at least 16 years old. Emergency services are open 24/7. Hazel Hawkins Hospital is proud of our medical staff. Our doctors offer a wide range of services to the community, offering our patients excellent choices for treatment of all medical conditions. Here you will find the latest news, press releases, hospital facts and updates to information about our services, facilities, and community. The Foundation provides charitable gift opportunities for individual and family donors, business and corporate entities and other philanthropic organizations. Contributions support facility improvements, equipment purchases, scholarships and other critical needs. As a healthcare District, we strive to operate at the highest levels of transparency. Click on the links below for access to Board minutes and District financial information. Hazel Hawkins Memorial Hospital broke ground for the new Women’s Center in June, 2011. The OB portion of the new Women’s Center opened in December 2013. The second floor space housing the Women’s Diagnostic Imaging Services opened in 2014. 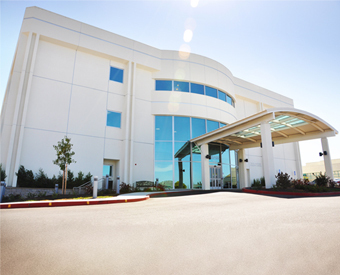 Hazel Hawkins Hospital is a full service, 62-bed not for profit hospital providing exceptional health care to San Benito County and southern Santa Clara County. For more than 100 years, our physicians, staff and volunteers continue to carry on the values of respect, compassion, and excellence introduced by our founders in 1907. Hazel Hawkins Hospital offers a full range of inpatient and outpatient services that include emergency services, stroke care, surgical services, radiology and diagnostic imaging services, laboratory services, palliative care, physical, speech and occupational therapy, respiratory care, and a new modern birthing center. Also included within the San Benito Health Care District are four community health clinics, two specialty centers and four satellite lab/draw stations and a home health agency. Hazel Hawkins Hospital is one of the few California hospitals still locally governed. The hospital’s community-based, elected Board of Directors protects this local status and assures that dollars earned are reinvested to improve the health of the community. Whether you have found your medical home at one of our many family practice and specialty clinics, or have received care in our hospital, our team of caring professionals is here to fulfill your needs should you or a family member require our care. Thank you for allowing us to serve you. The tragic death of Mr. T. S. Hawkins’ grand-daughter Hazel — his “Little Sunshine” — led him to make a public commitment that no other member of this community would have to die for lack of adequate health facilities.